Begin to clear your current diet of all yeast-containing items for 5 – 14 days, depending upon your current dietary habits. If you are surviving on sodas and candy bars you will need to eat yeast-free for the full 14 days prior to starting nystatin. To the contrary, if you already eat fairly “clean” you may start the nystatin portion of the treatment after 5 days of eating yeast-free. Remind Me: What has yeast/sugar in it? The following contain yeast/sugar: sugar, all grains, flour (almond and coconut flour are allowed, as these are not grain-based flours), dairy, potatoes (all colors), pasta (including gluten-free), pastries (including gluten-free), breads (including gluten-free), candy (including sugar-free) alcohol, and vinegar (except for white and apple cider vinegar). After completing the initial 5-14 days of eating yeast-free, you may start the nystatin and probiotic. Start the nystatin at 1 capsule three times per day (for 2 weeks). It’s best to take nystatin with food to minimize stomach upset, so we recommend taking it with breakfast, lunch and dinner. You may start your probiotic before nystatin or at the same time you start nystatin. Take 1 capsule per day (for 2 weeks). Probiotic is best taken with meals to minimize stomach upset, so we recommend you take the probiotic with breakfast or your evening meal. 2 weeks after starting nystatin and probiotic you will need to increase both. Increase nystatin to 2 capsules three times per day (2 capsules with breakfast, 2 with lunch and 2 with your evening meal). Increase the probiotic to 1 capsule twice daily. Take one capsule with breakfast and 1 with your evening meal. Let’s get serious and kill more yeast! After you have taken nystatin and probiotic for 3 – 5 weeks and are free of yeast symptoms, you may start fluconazole. The variance of time (3 – 5 weeks) is advised for each respective guest’s comfort. If you started nystatin 3 weeks ago and you are experiencing significant die-off symptoms, it is not a good idea to risk additional die-off by killing more yeast with fluconazole. Therefore, it would be advisable to wait to start fluconazole until week 4 or 5. If you are not free of yeast symptoms after 3-4 weeks, it is best to call our office for guidance. 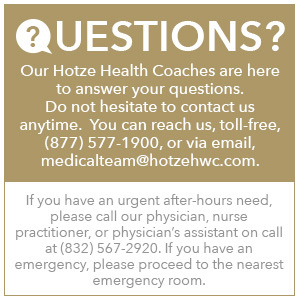 If you are unsure when to add the fluconazole, please call a phone nurse and she/he will assist you in determining your readiness for it. Once readiness for fluconazole is determined (you are symptom-free on the full dose of nystatin), you may start using the fluconazole. Take 1 tablet once per day with any of your meals. You will only take this for 7 days. During and after taking fluconazole continue to take nystatin, 2 capsules three times per day, along with the probiotic, 1 capsule twice daily. Add Fruit…Wow, that’s so Sweet! After 2 weeks on the nystatin and probiotic you may add fruit back into your diet, sparingly. If you experience any symptoms or die-off after you add fruit back into your diet, stop eating the fruit and wait another 2-3 weeks to reintroduce it. Finally, add dairy, sweet potatoes, alcohol—Remember your friend, MODERATION. After taking nystatin and the probiotic for 4 weeks you may add sweet potatoes, rice, dairy and alcohol back into your diet, in moderation, if you are free of symptoms. Add one food group at a time. Wait at least 4 days before introducing another food group. If die-off occurs after reintroduction of any food, we recommend you call the office. This may mean you still have yeast or you may have discovered a food allergy. It is not always easy to tell the difference. After 3 committed months to your new dietary habits, it is our hope that you will continue to either abstain from yeast consumption or only consume in extreme moderation. Dr. Hotze and Sally Kerr, LVN, LMT, give an overview of the yeast-free eating plan. Dr. Sheridan explains what to expect when you start the yeast-free eating plan.